The installation of WordPress is very simple and within minutes you can get a blog up and running. Once you have finished installing WordPress there are a number of measures that must be taken if you want to get the most from your website. Use the following list as points to follow for future installations or just to double check if there is something that you have not done yet (+1400 words post). Do you need a complete FREE guide to help you create your first blog and make money with it? Permalinks are simply the address with which to store each individual post or page of your blog. To make sure that this will not be saved only by a number (the default), you can modify the structure, so that it appears at least the title of the post. Under the menu of your WordPress dashboard, select “Settings> Permalinks”. Using your keywords in Title and Tagline may help you improve your SEO rankings . Under the menu “Settings> General”, in the proper field, you can simply change your Blog Title. After that, there is the tagline, that is your blog subtitle. You should find an appealing sentence! Mine is : “Take Action, There Is No Passive Income” . If you want to take blogging seriously, then you need to get a premium WordPress theme. It’s not about just looking professional, your readers are also going to enjoy navigating in a easy to use website. So be sure to get an original and well-functioning theme. I use a personalized Genesis Framework theme, called “Magazine PRO”. It’s HTML5 and mobile responsive. This is the system to notify Google about your blog content and its updates. The XML sitemap lists the pages of your website and inform search engines about other important information. Creating an XML sitemap on a WordPress blog is incredibly easy. You simply need to install “Google XML Sitemaps” plugin (it’s version Version 4.0.8, at the moment). 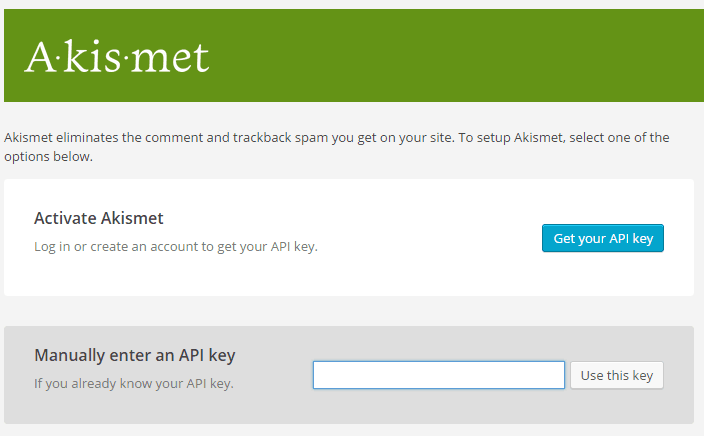 The most popular way to prevent spam comments is trough “Akismet”. Used by millions of bloggers, this plugin will protect your blog from SPAM comments and trackbacks. After installing WordPress, just visit your “Plugins” dashboard menu, then search, download and activate Akismet. Visit Akismet.com and sign up for an API key. Now add it to settings configuration page of the plugin and save. I use Akismet in combination with “Growmap Anti Spambot Plugin”, also know as G.A.S.P. It will add a client side generated checkbox to the comment form, requesting that the user check it in order to prove that he’s not a spammer. Bots will not be able to mark this checkbox, so their SPAM comments will be discarded. Get GASP, with CommentLuv premium plugin. This is something really useful later on. It takes just a few minutes and will give you several information, like how many of your pages are indexed by Google, loading speed of your site with relation to others, crawling errors (and how to fix them), and many more useful data. Here the link of the service : Google Webmaster Tools. When you register to GWT, you need to prove that you are the owner of the website. Just choose between the few options on how to do it. This is another must have tool from Google (and most of all FREE). Just log in to Google Analytics and install the code into your blog pages. Google Analytics will give you a lot of useful information, as number of unique visitors, pageviews, average time spent on your site, bounce rate and a lot of other juicy information that will help you improve your blog. It’s suggested to install a Cache Plugin, in order to cache the pages of your blog and deliver them to visitors without accessing the database, making your site much faster. I’m sure you know it, that loading speed is one of the 200 factors that Google consider for search engine results. I use “WP Super Cache” plugin on most of my sites. I suggest you to install it, as it improves the speed and user experience of your blog. You can add browser, page, object and database caching as well as minify and content delivery network (CDN) to WordPress. WP Super Cache, with “W3 Total Cache”, are considered as the highest rated and most complete WordPress performance plugins. The favicon is that 16×16 pixel icon you can see next to a website, when visiting it with your preferred internet browser. 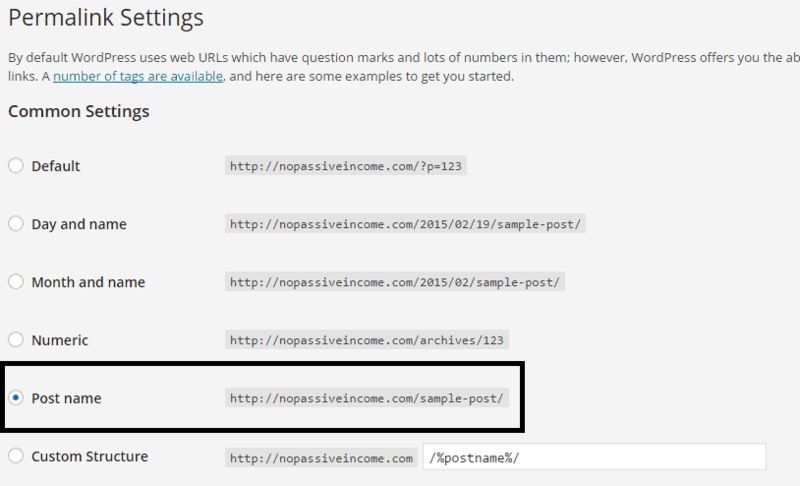 Can you see the favicon associated to NoPassiveIncome? I used “Genesis Favicon uploader” plugin for uploading my favicon. It is certainly important that your readers and visitors can contact you easily. I used “Contact Form 7” WordPress plugin for building my Contact Page. With a contact form, easily accessible on your blog, people may contact you for advertising, consulting or business opportunities. See my About page here. 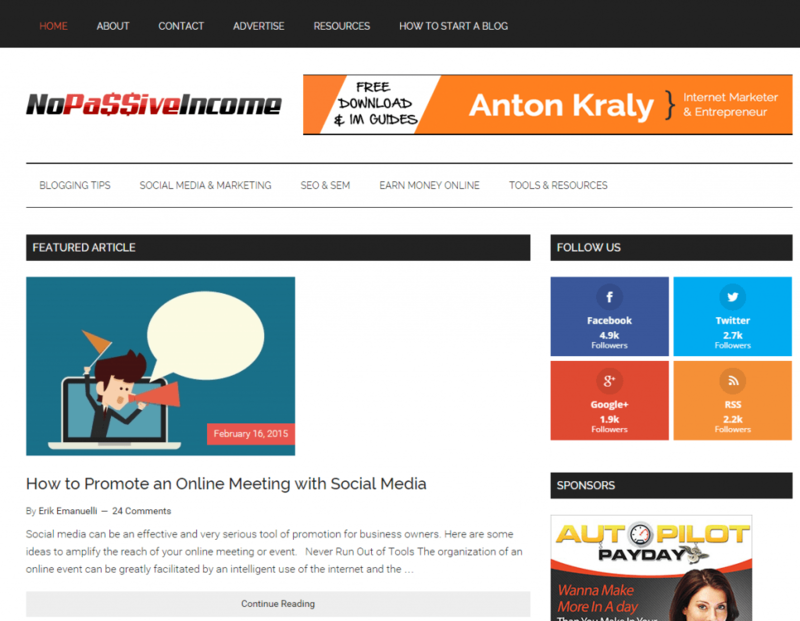 I tell you a bit about myself and I explain the goals of NoPassiveIncome blog. Also, I take occasion to ask readers to subscribe for blog updates. At the end of the page, I also list the guest posts I wrote for other blogs and all the interviews I participated to. Finally, a real picture of yourself is a must here! Feedburner is another free popular service offered by Google. You can get your RSS feeds “burned” in a matter of few minutes. It offers several features like analysis of your subscribers or optimization of your feeds. This is the link of my RSS feeds. Social media is a must for any bloggers. You always want to give your readers an easy opportunity to share your content via the most popular social media channels. I use “Monarch Social Sharing Plugin“, by Elegant Themes. I love how it looks! It’s responsive and the design is awesome. If someone digit incorrectly some of the URLs of your site, you should help them finding what they want. I use “Smart 404” plugin : when content cannot be found, Smart 404 will use the current URL to attempt to find matching content, and redirect to it automatically. You know that SEO is so much important for your site and you want to optimize your content, in order to attract a lot of organic traffic. Some great plugins are “All in One SEO Pack” or “Yoast WordPress SEO“. They will help you with the most important SEO tasks at you blog, like settings the keywords of a page or the meta information. You don’t want to have broken internal links. I use and suggest “Broken Link Checker” plugin, which checks your blog for broken links and missing images and notifies you on the dashboard if any are found. With so many smartphones and tablets around, we are in the middle of a mobile internet revolution. Have you ever checked how many visitors you got from mobile devices? I bet at least 30% of your users are visiting your blog from their smart phone. You should then set your site in order to be viewed easily from a mobile gadget, otherwise it may take too long to load, becoming really difficult to be consulted on mobile. Here’s a guide on setting a mobile-friendly website. Widgets are the real magic of WordPress. Select, drag and drop and in a moment you can create a sidebar full of great features for your readers. I use the social widget offered by Monarch Social Sharing Plugin and the “Popular Posts” one by Genesis. Depending on the theme you are going to choose, you will want to modify the footer credits. You may also add some widgets to the footer. I use “Top Commentators Widget”, to reward the most active commentators at my blog. I have also the BroadedNet widget, to show good reads around blogopshere (do you need traffic without SEO or social media? Read how to get it with BroadedNet). Now it’s time to remove the “Hello World” default post, set the categories of your blog and create your first post. I hope this small guide is going to help you with the things to do after installing WordPress in your blog or simply as check list. Have you found something that you have not done yet? Or may be, do you have any other suggestions to add? #1 is beyond huge. Fab tips all around! I changed permalinks immediately when I went WP because it’s good for branding, for being professional and search engines love seeing keywords versus generic numbers. Takes a second to do. Weirdly enough, after my developer installed my new custom theme before I noted the generic permalink pop up on twitter. On checking again all looks OK. Either way I’m on it because going custom helps make a big impression on your audience. I remember to have not changed permalinks at all with my very first blog. But you know, we may learn a lot from our errors! Hope you’re enjoying your stay at that fantastic house at Bali. Great one! These are the most basic things which should not be missed at the beginning because when you later change it things go complicated at times. Hope it helps some new (or even experienced) bloggers! As always you are rocking with useful tutorials. I am happy to say that I did all the things you have mentioned here. What do I say further sir? Looking forward to another awesome post. that’s great to hear you completed every step in this list. You are doing an awesome job at your blog. Keep up the great work and soon it will be popular. Thanks for visiting and commenting here today. These are some great tips especially for a new blogger who has just installed WordPress. It takes some time before someone gets familiar with WordPress. Permalinks are an important part of the blog. One should configure it at the very beginning. Because it’s not recommended to change it later. It affects the SEO of the blog in a negative manner. There is so much to learn about WordPress, that it takes indeed some time to become familiar with this CMS. Appreciate your visit and comment here today. Thanks for the reminder about Feedburner. I didn’t really set it up fully until now! good to hear this list made you finish to set up Feedburner. thanks for leaving your views here! This is a very detailed to do list! There are several things I missed after installing my WordPress! I will be going through this list point by point to see if I got everything. great to hear this list is going to help you improve your blog. Good checklist for old WordPress user and helpful for newbie. You mention here some great points that every WP user should consider to make their blog user friendly as well as search engine friendly. good to hear this post helped you somehow. Hey Erik! This list of yours will help a lot of new bloggers. Especially if they are kinda lost and don’t know which to do first after installing WordPress. A lot of bloggers knew that WordPress is the easiest and popular CMS. Little they know that there are things that one must do before he can really start with posting pages and articles. That’s what you have shown them. there are so many things to do after installing WordPress. Such a wounderful collection. You have just a whole complex topic in wordpress with easy of writing, I use FW for creating and Designing both my logo and favicon,I never know that online favicon exist. Thanks a lot for the tips. Great post that you’ve given,Your article describes that you’re expert in relevant field and people will believe your words and your suggestions is always the best solution for any issues. I would like to add few more points with respect to all above points mentioned that is we need have concern on security plugins and .htaccess file and it should be on top of our list after installing word press blog. I have Stumbled it and will definitely come back to refer to your suggestions when I work on my blogs. Everything is going great, I hope the same for you. I see you are doing a good job at your blog, keep up the fantastic job there! Thanks for adding the suggestions about securing our blogs. I have few plugins for that purpose. Hope this guide will help some new bloggers (or even experienced ones) with the improvement of their websites. Glad you liked the post, thanks for leaving your comment. Excellent guide to help newbies know what steps to take on their blog. You have created the list based on relevance and with this every newbie can figure which step is important when working on their blog. Thank you for sharing such guide and thumbs up. If installing WordPress is not a difficult task, there are then so many things to study and understand. Couldn’t have made it any clearer. VERY WELL DONE list Erik! People tend to skip 3/4 of those and it’s the little things like that that comes back to haunt them in the future. Thanks for the kind feedback, Dennis. Most of steps I didn’t do after install.. Won’t do this again.. hope next time I will complete all these steps after inslatting wordpress..
Glad this list helped you, Adam. You have mentioned all of the important tasks which should be done after installing WordPress. Newbies will find this tutorial very helpful. Even I have also bookmarked this post. Glad you enjoyed the post, Rahul. Great list here. I am glad to see that I am using several items on your list. I especially like WP Super Cache. I found disqus to be the best solution for spam filtering, so far at least. I heard several feedbacks about Disqus, all of them different. I guess if you are happy, just stick with it. I think you can get many more comments with it. But we could discuss so much about which blog commenting system adopt, right? I guess it really depends from what you prefer. It’s much better for me having more comments (real, of course), that fewer spam ones. Even if I spend 5 minutes daily to clean SPAM folder or to double check distrusted comments. Nice share. You have covered nice tips here. We should work on our blog from day one of launching your blog. Hard work will pay off in future. Thanks for your awesome post. Actually I am using blogger so I am not aware much with wordpress. But I have done wordpress SEO works for some clients. So I see these all there. This post is like a full wordpress guide for a beginner. As you said, hope this will be a great guide for beginners! Appreciate your visit and comment. I can definitely say that I wish that I had this list after I installed wordpress when I first started. Some of us veterans do have to look at these types of list to see if they’re something we can add or if there’s something missing within our blog. I pretty much get everything set, but i like to use another Social Sharing Plugin.. The reason being is that I like to have something different (change is good) and also I like to add widgets for peopel to find me on the different social media sites I’m active on! I like to tip my hat off to you for coming up with this list! This is definitely a list no one should overlook! Thanks for sharing! glad you liked this list! then I discovered the Monarch Social Sharing plugin from ElegantThemes, and I love it! Design is awesome and is completely mobile responsive. Sometimes are little things that make the difference. Appreciate your visit here and commenting. Wonderful piece of content. Yes, the things you’ve mentioned are very important to do after installing wordpress.. Often people forget to track their data with Google analytics which is very important to do. Use of Premium theme is a great way to grab more attention of audience. This post aim just to that, to help people avoid making specific mistakes. You never have a second chance to make a first good impression. So yes, a premium theme is a must, if you want to take blogging seriously. This is a good reminder! About permalinks, I see you use “post name”, and I use the “month and name.” Which one is best in your opinion? Then, can I change my permalink to post name? When it changed, will it affect my articles because my previous permalink? Thanks before for your answer, Erik. Thanks for sharing as well. Have a great week! The “Broken Links Checker” plugin is pretty simple, but it does that job really well, saving you big time (and improving overall your blog and user experience). As per permalinks, with my first blog I used “month and name”, but I kept hearing suggestions to change that, since the beginning of my blogging career (5 years ago). That’s why now I use “post name”, as it seems to be better in terms of SEO (you can focus on your keywords and make the URL search engines friendly). If you change permalinks on your blog (switching for example from “Month and Name” to “Post name”),this will now update all of your internal URLs with the new syntax. All of the internal links should update correctly if they have been added as part of WordPress. Any manual links may need to be updated. All links to your site from elsewhere will now be completely broken and all the content indexed by search engines will be incorrect. There is a simple solution to this problem and that is to setup 301 redirects on your website. A 301 redirect essentially tells any browser that comes to your site using an old permalink structured URL where the relevant content is. It also lets search engines know that this is a permanent change. I know, it’s not an easy task, but this is what you need to do to change permalinks on an already run WordPress site. I have tried to install this plugin according to your suggestions. With this plugin, I can remove the date that is included in my post URL and when clicked the link will lead to the original URL that has a date on it. Does that mean I don’t have to change my permalink become “post name”? Since it would make me lose all the comments and shares. Before you change your permalinks (depending on the new one you choose, if “post name”, then go for it), and then you do the procedure as explained in my previous comment. And no, you won’t lose your comments. A perfect article i’d like to share with one of my buddy who just got his first domain and set it up on WordPress. Till then let me go back to my blog and check if i missed out on any od the points mentioned above. BTW will have to say that Akismet have reduced a lot of spamming on my blog and still is doing. Thank you Erik! Have a nice weekend! that’s the aim of this post, helping some new bloggers doing the most important things after installing WordPress. A perfect post for newbie bloggers who’s are wanted to start a blog on WordPress. Even I also made a mistake while starting my blog on WordPress. Now everyone should give importance on No. 17. Because Google now prefer mobile friendly site first in SERP rank..
BTW thanks for this awesome post. Erik Sir. We all made mistakes at beginning, Hamim. I think it’s completely normal. I heard about it too. have a good rest of this week, Hamim. Great agenda for old WordPress client and accommodating for amateur. You say here some awesome focuses that each WP client ought to consider to make their website easy to understand and internet searcher amicable. Great thanks for sharing with us its very helpful I don’t know about it. Hello Erik, Nice post mate. Anti spam plugin Akismet, I believe comes already installed in all wordpress installations so less work to do here. And you very rightly mentioned about making the blog Mobile friendly as Google has started paying more attention towards user-friendliness and cross device compatibility. With default WordPress installation, you already get Akismet plugin. The only thing you need to do is getting the API key. 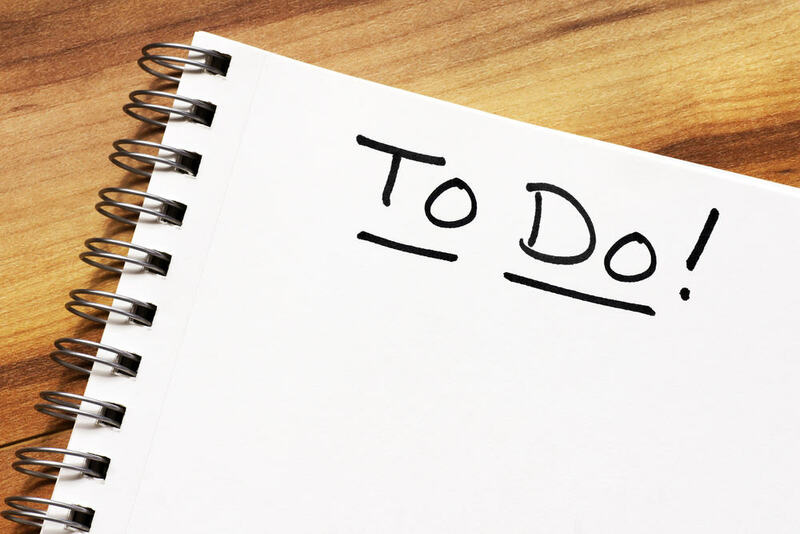 Nice to do list . These tweaks are really important to create fabulous blog. Thanks for your feedback, Sharad. When I started my blogging career I never came across like this post, I came to know one by one by reading various articles, this post will help all the new bloggers a lot to maintain their blog suitable for SEO, permalinks, Yoast SEO, contact page are my favorite one to take care of immediately. thanks a lot for the kind feedback. Hope to see some new bloggers learn from this post! Good to hear you learned something new here, Aqib. Thanks for your awesome article. Actually I have a blog on wordpress, actully i am confused that what is Akismet plugin do. But now i am activate Akismet plugin Today and safe my website from Spam. Yes, it helps you fight SPAM comments, Charanjeet. It is a very nice post that guide us the about proper use of wordpress after installing. This would really help in improving the blog and can be used as checklist for old wordpress user. Thanks for your suggestion and post.